Compatible with iOS 10, 11 and 12. Customize the duration before going to sleep on lockscreen. 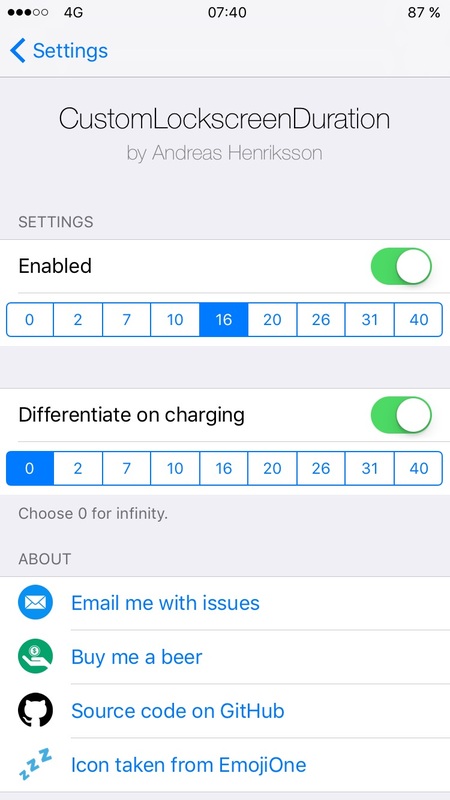 Developers would probably find this interesting for when working on lockscreen-related tweak making. Configure within in the Settings app.